Keith qualified as a Physiotherapist in 1997 with a BSc (Hons) degree from Coventry University. He then specialised in musculoskeletal disorders, especially sports and spinal injuries. He has undertaken extensive post graduate training including sports specific courses, acupuncture and soft tissue treatment. Keith has worked extensively in the NHS as a Senior Physiotherapist working alongside Orthopaedic Consultants and overseeing the rehabilitation of post-operative and fracture patients. He has also run rehabilitation classes for people needing to improve their spinal stability. Keith has also worked extensively in elite sport for the English Institute of Sport and with Badminton England which has meant numerous trips to Asia and Europe with our national players. Since 2006 he has also been Physiotherapist to the Police Force and has undergone further Occupational Health related training. 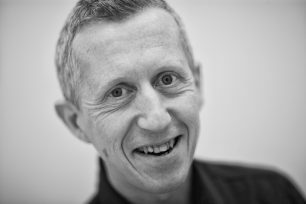 As a keen triathlete Keith has a particular interest in the analysis of human movement, promoting efficient body mechanics and the prevention of injury. He believes it is important to get an athlete back training quickly but safely.